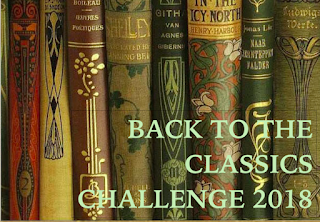 Have you finished the Back to the Classics Challenge? Congratulations! This is where you'll link up to your Challenge Wrap-Up Post, after you've completed a minimum of six different categories from the original challenge post. This post is only for Challenge Wrap-Up Posts. If you do not have a blog, or anywhere you post publicly, please write up your post-challenge thoughts/suggestions/etc in the comments section below. Please read the directions carefully. By linking or commenting here, you are declaring that you have completed the challenge; that each book reviewed fits the correct definition of the category, and was published before 1968 (except for posthumous publications); and that your reviews for each category are linked to the correct post. If I cannot find links to your reviews, I cannot give you credit and thus enter you into the drawing. THIS is where I will look at the end of the year and randomly choose the winner for the bookish prize. 3. Links to your reviews. If you do NOT include links to your original reviews IN THIS POST, I CANNOT ENTER YOU INTO THE DRAWING. If you've completed six categories and you get one entry. Complete nine categories, and you get two entries. Complete all twelve categories, and your name is entered into the drawing three times! Please be sure and include some kind of contact for me within your final wrap-up post. This year, I will be contacting the winner privately BEFORE posting their name publicly on this blog. If I cannot contact you, I cannot award your prize. If there is no contact on your blog post, please email me at karenlibrarian13 [at] yahoo [dot] com. LATEST UPDATE: It looks like I can also message the winner via Goodreads, so if you are posting reviews via your Goodreads account, I can contact you that way also. Thanks to Rachel for suggesting it! 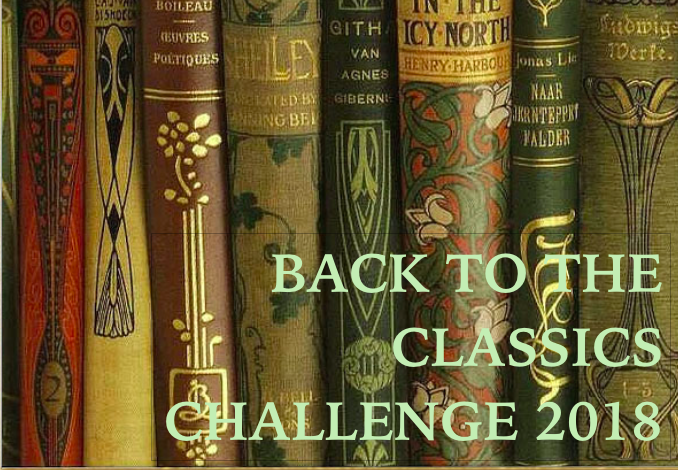 Congratulations, and thanks again for participating in the Back to the Classics Challenge! I don't have a blog, so I will post my books here. I have completed all 12 categories. I completed all twelve categories. I loved Pride and Prejudice but hated The Inferno. The Old Curiosity Shop, The Black Tulip, Frankenstein, The Little Prince and The Strange Case of Dr Jekyll and Mr Hyde were my other top reads. Sandra, I've tried to link back to your posts but am unable to do so. As stated in the instructions, if I can't access any of your reviews, I can't enter you into the final drawing! I would hate to leave you out since you've completed all twelve categories -- is there any way to update the link? Not sure why the links in the individual posts don't work. The link above to my Back to the Classics shelf on Goodreads seems to always work for me regardless of computer, browser etc. Not sure why it didn't work for you. I've linked to each individual review below .Hopefully they work. Not sure what to do if they don't. Fingers crossed that all works as planned this time around. Just linked to my wrap up post. Finishing early feels good, and I'm working on compiling my list for 2019. 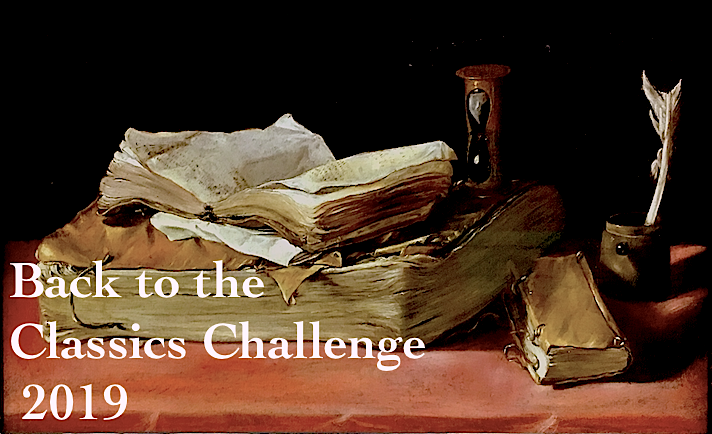 Thanks so much for hosting this, my favorite reading challenge! I've posted my wrap up. I had a great year reading all of the books! I'll be sending you an email so you have a way of contacting me - I don't have an email listed on my blog. As far as contact information goes, are you able to use Goodreads to contact the winner? Apparently I can message people via Goodreads! Thank you for suggesting this, I will add it to the instructions. I don't have a blog but I hope my link to my GoodReads Classics Challenge shelf will make this easier for you. It has been a great year with some new writers, some brilliant books and a few disappointing ones. Thank you for expanding my mind. Yay!!! I finished the challenge! I posted the link to my blog entry and my blog entry has the list with links to all the books I chose. I hope that is correct!!! If not, please let me know and I can do whatever is needed to get my name entered in the drawing. Thanks for the challenge, this is my first time doing it. [(I am listed as either Anh or Anh Gordon or Anh (Gordon) in your category pages]. I posted a link to my Goodreads shelf, in the reviews I wrote which prompt it is for, I hope that's alright! 2. 20th century classic: Blade Runner (Do Androids Dream of Electric Sheep?) - published in 1968, so 50 years old exactly! Great to see you're continuing the challenge next year. The categories are interesting. I didn't think I'd get to finish the challenge but I hadn't counted on Anna Karenina being such an absorbing read! I finished the last book for the challenge a few days ago, and I just wrote and linked to my wrap up post that has all the links to the 12 books. I've also linked here to my reviews in your links for each category. My email is silviacachia at yahoo dot com. Thanks for the challenge, Merry Christmas, and I'm looking forward to next year's categories! I finished! I'm so proud of myself! Managed to read all twelve I believe. I really do love this challenge because it gets me to read some books I might not otherwise choose! I did it! And now I hope I did it right. I solemnly swear never to postpone my reviews ever again. I did it! Now I just hope I did this right as well. Next year, I'll write the reviews, as I read the books. Promise! I completed all 12 of the categories again this year (yea! So excited!). I thoroughly enjoyed every book I read this year, but if I had to pick one favorite, it would be The Count of Monte Cristo by Alexandre Dumas. It is undoubtedly the best book I have ever read. Thank you, Karen, for continuing this challenge again next year. I look forward to participating once again. I completed 9 categories just under the wire and have linked my wrap up post. Thank you for hosting this challenge and I'm glad you decided to do it again in 2019! This was a lot of fun! Thank you, Karen, for hosting this challenge, my first. I've read in all 12 categories and linked to my reivews in my wrapup post, listed above. Looking forward to 2019's challenge. Linked my wrap-up post. Thanks for hosting this again! I only completed 8 categories, so I only get one chance.